The contracts with Williams have not been a secret, though they also have not been widely discussed. 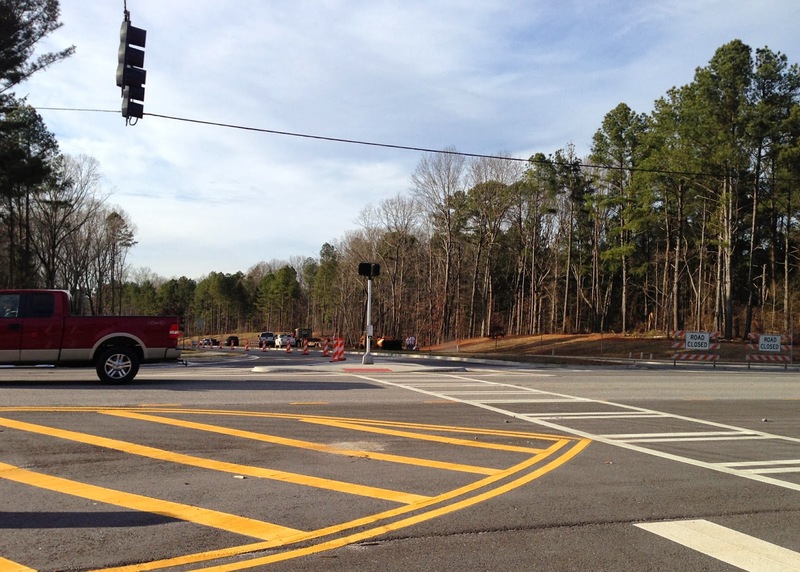 The relationship has been mentioned in open meetings of the Oconee County Industrial Development Authority when payments have been made to Williams. At the same time, the county has made it difficult for individuals to obtain information about the contracts. As of the end of October of last year, Oconee County had paid Williams and Associates $296,379, according to financial records from the Oconee County IDA. Athens-Clarke County shares costs for the Caterpillar project equally, making the total payment just less than $600,000. The first contract was signed by the two IDAs on Jan. 30, 2012, and was for $259,000. It included fees for geotechnical borings, a boundary survey, and a rough grading plan for the Caterpillar site. The second contract was signed on Feb. 17, 2012, for $611,079 and covered traffic signal design, construction staking, contract administration, bid management, and sanitary sewer extension design. The vendor activity report for Williams and Associates shows the company being paid by Oconee County $32,811 in April of 2012, $63,828 in May, $50,509 in June, and $51,164 in July. I obtained the contracts and vendor activity report through a series of open records requests I filed late last year. Amounts paid to Williams and Associates have been smaller since July of 2012, and the county paid only $1,592 in the most recent transaction shown on the report I received. The date was Oct. 28. Oconee County Finance Director Wes Geddings said Williams and Associates can submit expenses up to the contract amount at any point in the future. The contracts do not specify end dates. Jon Williams is president and principal-in-charge of Williams and Associates, with its offices at 2470 Daniells Bridge Road near the Oconee Connector. According to the company web site, Williams and Associates was founded in 1999. 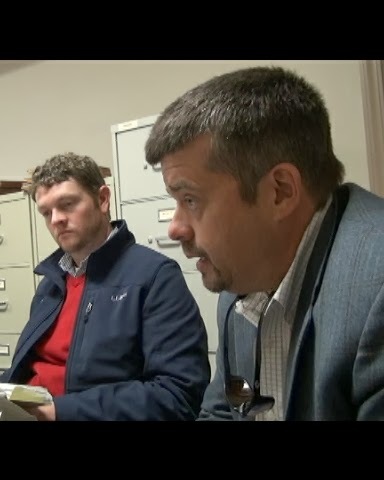 County records show that Williams and Associates had billed the county $3,856 in 2011 for “professional services,” some connected to the Gateway Business Park owned by the IDA on SR 316 near the Barrow County border. Caterpillar announced it was moving the manufacturing for small track-type tractors and mini hydraulic excavators from a plant in Japan to its site on the Oconee and Clarke county border near Bogart on Feb. 17, 2012. The grand opening of the Caterpillar plant was held on Oct. 31 of last year. The two counties, through their industrial development authorities, have spent $19,369,772, including the fees paid to Williams and Associates, to underwrite the move by Caterpillar. The authorities bought the land and built roadways and water and sewer lines for the plant. I first learned about the Williams and Associates contract for engineering services in October after I observed sinking and breaking of the roadway for Orkin Drive, the main connector to the Caterpillar plant off U.S. 78 in Athens-Clarke County. I contacted County Administrative Officer Jeff Benko and asked him about responsibility for the repair, since both counties had accepted the roadways. He told me that was something the county was trying to determine at that time and that Williams and Associates had engineering responsibility for the roadway. Ultimately, the two counties determined that the sinking was due to an old waste pit deep beneath the highway leading to the new Caterpillar plant and decided to assume responsibility for rebuilding the roadway themselves. They did that work in late December. I filed an open records request to review the contract and bids for the contract with County Clerk Jane Greathouse on Nov. 18. Greathouse is the open records officer for the county, and open records requests completed on the county web site go to her. Helwig’s office is in the same suite of offices as Greathouse’s office and a short distance away. Greathouse copied Helwig on her response, as well as Rick Waller, chairman of the IDA, County Attorney Haygood, and members of the Board of Commissioners. Members of the IDA are appointed by the Board of Commissioners, and BOC Chairman Melvin Davis serves as an ex-officio member of the IDA. The IDA relies on County Attorney Haygood for legal advice, meets in the Grand Jury Room of the Courthouse, uses the services of Helwig, who also serves as receptionist for the BOC offices, as well as of Finance Director Geddings and Development Officer Rusty Haygood. In response to a subsequent question from me, Greathouse said I could simply forward my request to Helwig. I sent that request to Helwig on Nov. 19, but I mistakenly sent it to her personal, rather than county, email address. I corrected that the next day. Helwig made the two contracts between the IDA and Williams and Associates available to me on Nov. 21. I was charged for 45 minutes of search and retrieval costs at $10.30 per hour, and granted 15 minutes free, consistent with the state law. I was charged $0.10 per page for copying 21 pages, again consistent with state law. The total bill was $7.25. I contacted Attorney Haygood by email on Nov. 30, and he responded on Dec. 2 saying that the county did not have to get bids for service contracts. On Dec. 9, I asked Helwig for a list of payments to Jon Williams and/or Williams and Associates from July 1, 2011, through the present. I also asked to see the annual budgets for the IDA for fiscal years 2012, 2013 and 2014. And I asked to see how much money was spent by the IDA for the services of County Attorney Haygood. Helwig sent me the budgets as an attachment to an email message on Dec. 11. She said the remaining materials could not be made available until Dec. 19. Helwig sent me an email message on Dec. 19 saying the remaining documents I requested were available. I was charged for 2 hours and 15 minutes of time at $22 per hour, minus 15 minutes, and 13 pages at $0.10 per page, for the total of $45.30. County Finance Director Geddings’ office produced the financial records sent me on IDA transactions with Williams and Associates. I asked him in an email message in early January about the gap between the contract amount for Williams and Associates and the amount paid by the county by the end of last year. Note: An earlier version of this story had an error in the headline. I apologize and thank a reader for calling it to my attention. Looks like that engineering firm did not bore enough holes. How do they miss a pit big enough to cause an entire road to be rebuilt? Keep up the good work. You have the "know-how" to check into things and keep us informed. Follow the money. Oconee is starting to resemble the rest of Georgia and our country. Good ol' boys and the connected few get the job, no one else need apply. Our masters will pick the winners and losers. Watch what happens with the $25 million they spend on a new courthouse. Excellent reporting. We need more of this to keep the leaders of Oconee County honest. Some context that might help.... it appears that when the first contract was signed, the project was still being “recruited” by the state. My guess is that W&A was hired to quickly complete some preliminary engineering to see what was necessary to move the project ahead and to generate some solid cost estimates for Caterpillar and/or the two counties. The IDA couldn’t very well bid out the job publicly when the prospect required absolute secrecy. The project was announced on Feb. 17, 2012, right around when the second contract was signed. So given the aggressive timeframe Caterpillar has publicly stated they wanted, the fact that W&A had done the preliminary work, since no laws were violated, and most importantly, since Caterpillar wound up choosing our community, it would seem to be the right decision. "The industrial development authorities of Oconee and Athens-Clarke counties in early 2012 granted two no-bid contracts totaling $870,079 to Williams and Associates"
This says it all. Melvin and his cronies issued almost a million dollars in no-bid contracts. It's funny how we live in a county run by so-called conservative Republicans, and they spend very large amounts without any transparency. It's well past time for new leadership in Oconee. Melvin is way too entrenched, and has big fish in a small pond syndrome. Anon 11:53 sounds like a Melvin apologist. It's one thing to have a firm on retainer. It's an entirely another thing to pay them almost $1 million without disclosing it to the public after Caterpillar came to terms with the county.